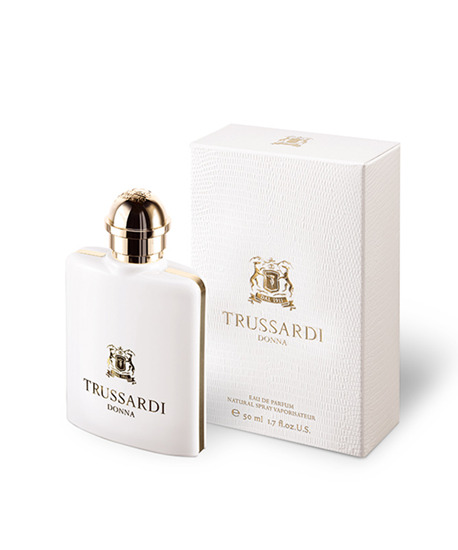 From purity to addiction, Trussardi Donna crystallized the essence of precious white… At first sight, Trussardi Donna liberates a luminous fruity aura, based on sparkling citrus notes of zesty yuzu and slightly green cedrat. A radiant freshness softened by dewy accents of water fruits. In heart, the white floral delicate tonalities reveal an attractive woman of a pure beauty. The suave and solar character of orange flower is blended with subtle jasmine tea NP and the transparent sensation of nymphea. In the drydown, Trussardi Donna becomes seductive and irresistible through appealing woody undertones. The sensual caress of fascinating white patchouli, intense cedar wood and creamy sandalwood creates an unexpected texture effect. A seductive signature enriched with warm and gold vanilla.